Every once in a while, I crave a big fat juicy burger. I usually go here because it’s close to my house, but I wanted something different. Then, I remembered Barney’s in Noe Valley. The last time I came here was probably 10 years ago. After a quick Yelp search, I found it. Still around? Must still be good. I was super hungry and ordered way too much food. We started with a side of curly fries. Thin, chewy and spicy – just how I like them. I got the North Beach burger topped with cheddar cheese and a mountain of sautéed mushrooms and marinated artichoke hearts. The patty was a perfect medium – juicy, tender and mildly pink. This burger was so large, I could only eat half. K devoured the Western burger consisting of cheddar cheese, crispy bacon, sautéed onions and a tangy barbecue sauce. 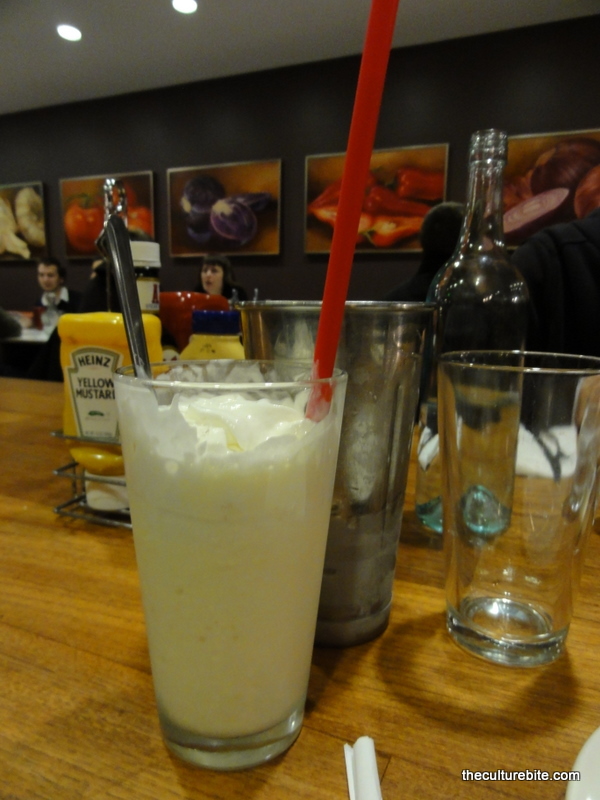 And how can you have a burger without a vanilla malt milkshake to wash it down? I will admit, this meal was the start to a very painful weekend. Yes, heartburn for 3 days. I need to get a hang of this moderation thing… Tasty, but 3 clubs for the heartburn. « Shark’s Fin Soup: Is the Fin Worth the Cut?